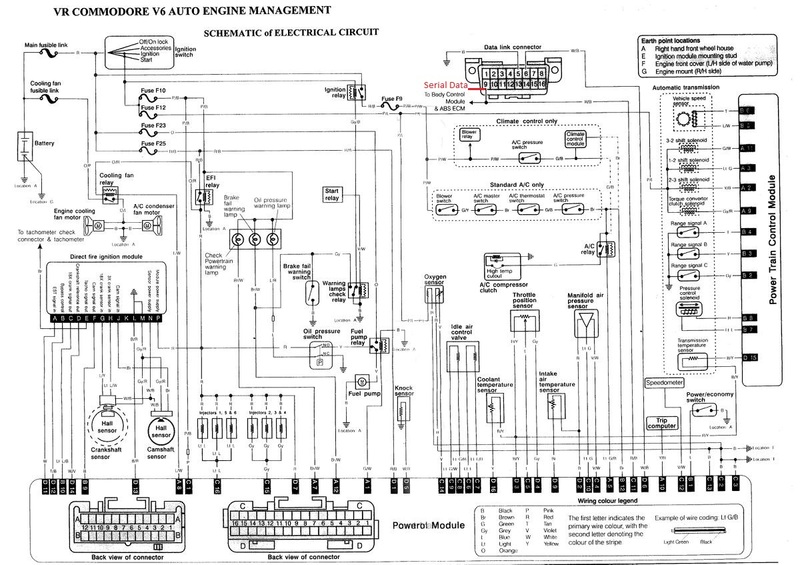 VR V6 Auto wiring diagram attached. Sorry for the low res, if anyone has a better version please post it. Now that i've printed off the above wiring diagram i'll grab my ohm meter and check the plug back to the dfi before unpicking it. How important is the signal from the cam angle sensor to the ecu? Is it used by the motor or electronic auto? I have a VRmanual wagon out the back and it has no cam angle sensor. The trans in the car just gets put in 2nd then its stab and steer so shift points aren't an issue. Build it, Race it, Break/Bend it ; Repeat. the cam angle sensor is used for a vr auto to tell it when to fire which bank of injectors, whereas the vn/vp fires them all together so doesn't need it. Holden202 wrote: the cam angle sensor is used for a vr auto to tell it when to fire which bank of injectors, whereas the vn/vp fires them all together so doesn't need it. You will get a CEL and it will just run batch fire instead of bank fire on the injectors but should run fine still. Its also used for individual spark correction but holden never populated the table with data so was 0 for all cylinders.